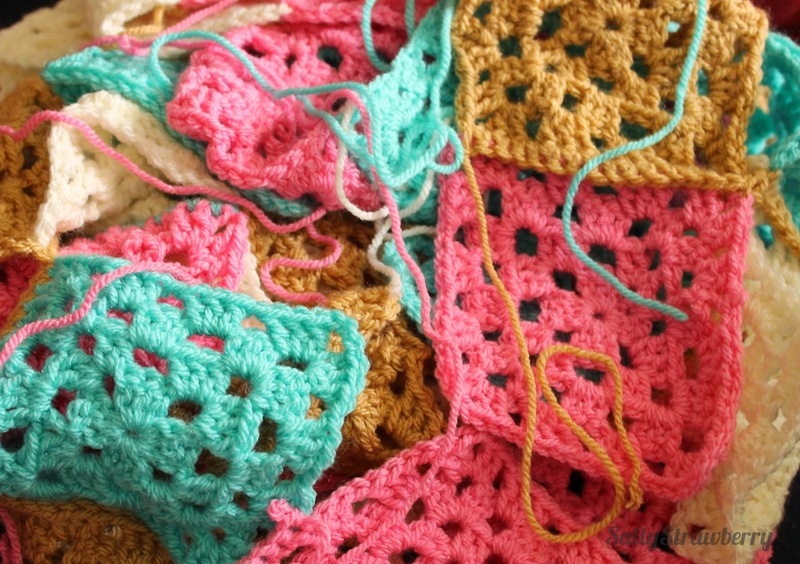 I thought I'd update you on the progress of my ice-cream inspired diamond shaped granny blanket. A couple of weeks ago I had pretty much finished all the diamonds. 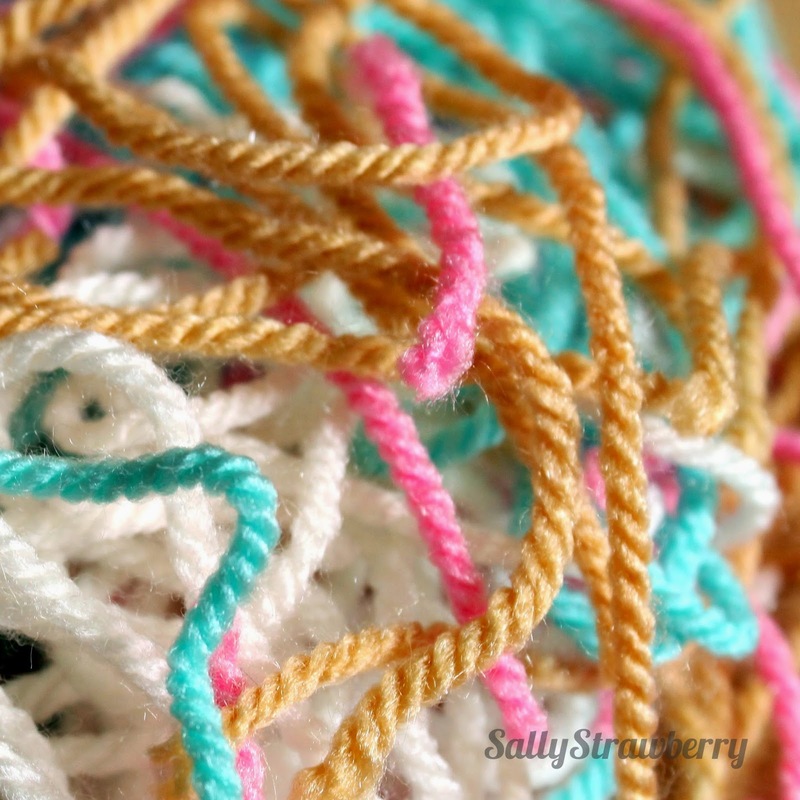 I had tied in all the ends and was pretty excited that the end was in sight. I had even started joining them together. 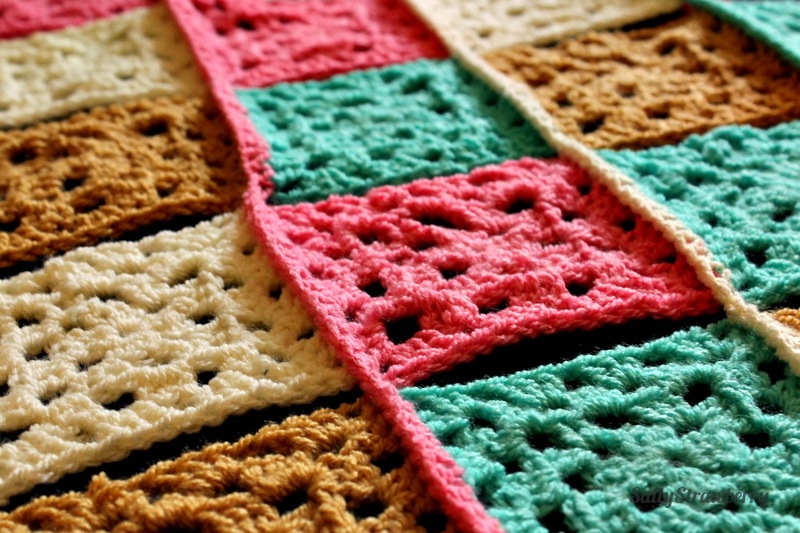 I am doing this using double crochet as I liked that the ridge it made mimics the criss-crossed on an ice cream cone. I hope to finish this by next week though. 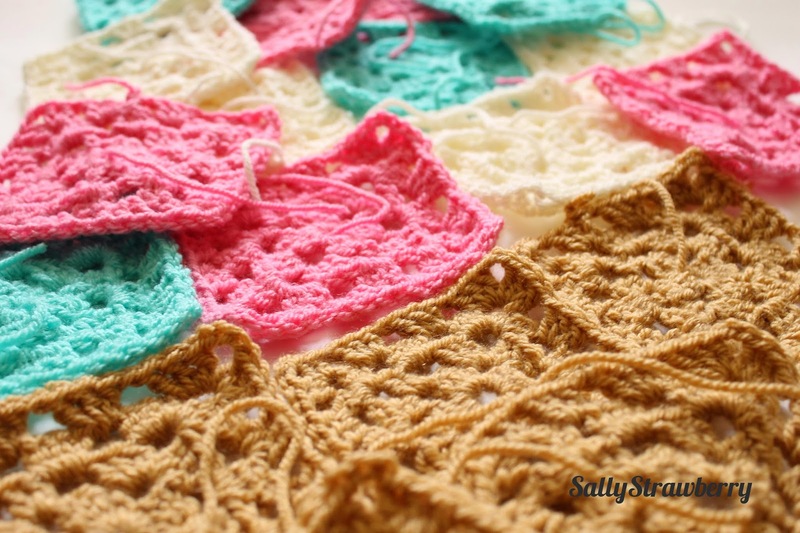 As much as I love crochet it can make me incredibly frustrated when things go wrong (not as much as knitting but thats a different story!). For me I'm off to work, but not before I have finished another triangle of bunting.